San Mateo-based LimeBike will again bring out their motorized scooters during this weekend in San Francisco for a “pop-up event,” according to the company’s mobile app. LimeBike’s green motorized scooters called Lime-S began appearing last weekend throughout The City available for rental through the company’s mobile app on Android and iOS devices, SFBay reported on Monday. 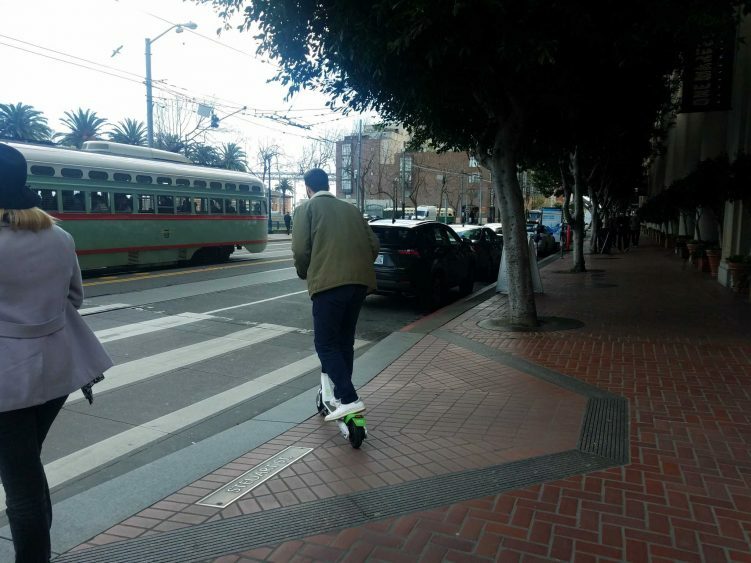 A number of electric scooters already began appearing on the LimeBike app on Friday afternoon available for rental near One Market Street. Dozens were shown as available across The City as of noon Saturday. A person rents a Lime-S scooter near One Market Street in San Francisco, Calif. on March 23, 2018. City officials are aware of the electric scooters, including the San Francisco Municipal Transportation Agency and Supervisor Aaron Peskin, who are working legislation to create a permit program for companies seeking to rent out their motorized scooters in The City. 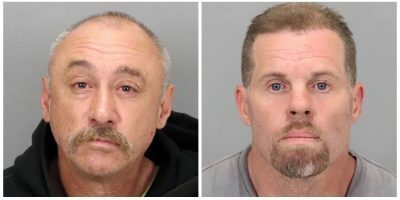 While Peskin and the SFMTA work on the legislation, LimeBike was able to rent out their scooters because there was no law preventing them from doing so — at least not yet, said SFMTA spokesperson Paul Rose. Rose added that even without a permit program in place, the scooters cannot be obstructing the sidewalk or pedestrian right-of-way and be subject of being taken away by the Department of Public Works. Rachel Gordon, spokesperson for the Department of Public Works, said crews did not pick up any of the scooters. There are a number of instructions and requirements before an individual can operate the scooter, some of which the state law mandates. The California Department of Motor Vehicles states that a motorized scooter be used on a bicycle path, a trail or bikeway, but not on the sidewalk. The law also states the person using the scooter be at least 16 years of age and have a valid driver’s license or instruction permit. Operators of the scooters must also wear a helmet, according to the DMV. Anyone who wants to rent the scooter will get charged a $1 activation fee and then 15 cents for every 15 minutes of usage. Instructions say to park the scooter along the curbside when finished with the trip. According to LimeBike’s website, the maximum speed is 14.8 miles per hour and runs on a 250-watt motor. Users can check the battery of their scooter by using the mobile app. Local staff from LikeBike and an independent team of “Lime Juicers” monitor the battery life of the scooters. They will come out to pick up the scooter to recharge and then put the scooter back out for rental. On a single-charge, the company says the scooter can travel a maximum range of 37 miles but it also depends on the usage by the person. SFBay has reached out to LimeBike but have yet to hear back from the company.